Join Civil Service Club (CSC) Membership today to enjoy the best rates for all CSC chalet bookings and an earlier booking period of 120 days. Club Members will enjoy savings of up to 20% on Public Service Rate and 40% on Public Rate. With effect for stays after 1 April 2019, the rates for staff of Civil Service, Statutory Board, University, Public Health Organisations, Main Stream Universities and Mindef will be amalgamated as One Public Service category (Public Service Officers) and revised as one rate. The booking period will also be revised from 1 April 2019. Please click here for more information. 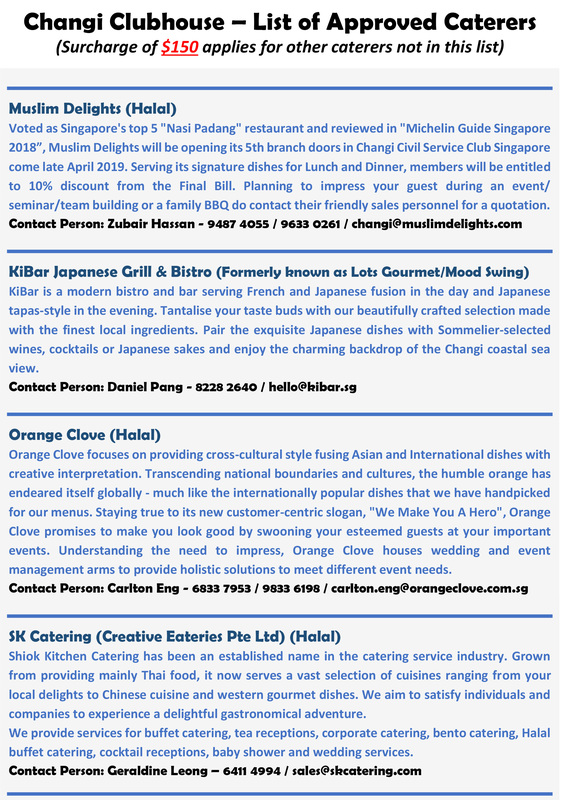 For any enquiries, please email to www.cscchangi.sg or www.cscloyang.sg. CSC has launched a microsite (www.cscloyang.sg) for all information pertaining to CSC @ Loyang. For CSC @ Changi II, the information will be subsume under the existing CSC @ Changi microsite (www.cscchangi.sg). CSC Members can login with their ID (NRIC) and password to book. For those who have previously registered at the Aloha website, please use your same login ID to request a new password by clicking Forget Password. For those who have not registered before, please register with your agency's priority code to access your booking privileges. 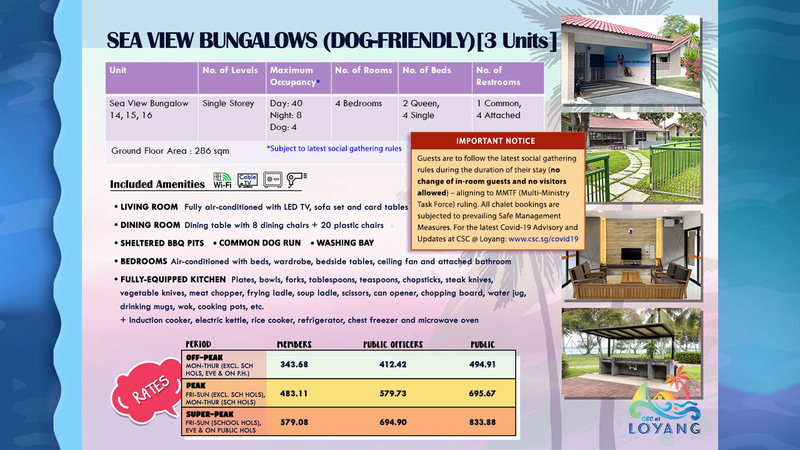 With effect from 6 Oct 2018, Sea View Bungalow 14, 15 and 16 will be designated as dog-friendly chalets and renamed as Sea View Bungalow (Dog-friendly) 14, 15, and 16. These units can be booked on www.cscchalets.sg from 6 Oct 2018. Please view the fact sheet and rates here. Dogs are restricted to the dog-friendly chalets and the dog-friendly zone to ensure that other guests in the Resort are not inconvenienced. There will be a revision in rates for these 3 units. You may refer to the attached document for the terms and conditions of booking the dog-friendly chalets.